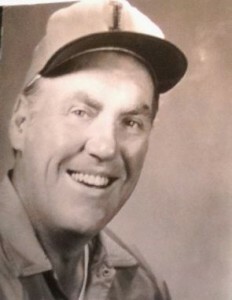 Baseball legend and Waterloo native, Lee Paul “Coach” Eilbracht, 88, passed on into the baseball heavens Jan. 2. A 1942 graduate of Waterloo High School, Eilbracht went on to become a baseball playing and coaching legend at the University of Illinois and beyond. After lettering as a player in 1943, Eilbracht put his college days on hold to serve in World War II, where he fought in the Battle of the Bulge as a tank driver and interpreter. 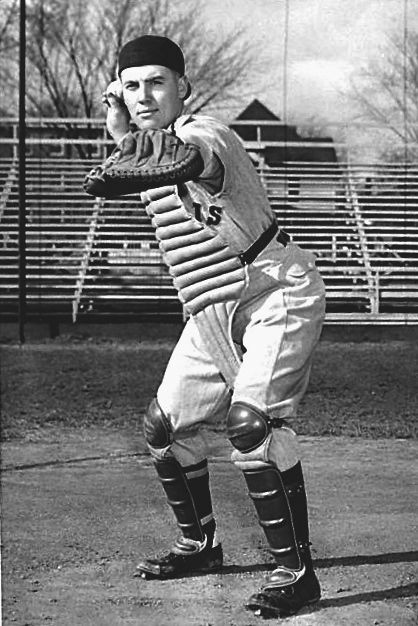 Upon his return to U of I, Eilbracht was the Big Ten Conference batting champion in 1946 with a .484 average. Eilbracht also won All-American honors in 1947. After playing and managing professionally, Eilbracht became one of the youngest head coaches in Big Ten history, coaching the University of Illinois baseball team from 1952 to 1978, amassing a total of 515 wins. His teams won Big Ten championships outright in back-to-back seasons (1962-1963). He coached the U.S. Olympic baseball team in 1964, and served as the first Executive Director of the American Baseball Coaches Association. Fourteen of Eilbracht’s players went on to play in the majors. Among some of the superior players he coached were: Tommy Fletcher, Kenny Holtzman, Tom Haller and Ed Spiezio. Pictured, Lee Paul “Coach” Eilbracht back in his playing days with the University of Illinois baseball team. Thompson recalled a trip her family took with her father to Waterloo just a few years ago, to visit his homestead and play golf at Annbriar Golf Course. Eilbracht lived in Savoy, Illinois, up to his passing.